I had a great time traveling around SE Asia with my fiancé! It had been a dream of mine for a while but since it is very different from the surroundings I am accustomed to, I was a bit unsure about how to pack prior to our trip so I thought I should share a few things I learned along the way and wish I had known before. To put our trip into context, we were away for about six weeks from the beginning of October to mid-November and visited Laos, Cambodia, Myanmar, and Malaysia, with the majority of our time spent in Thailand. Hope these bits help ease future backpackers! Just to clarify, these are things we did or wish we had done. Tons of people do things completely differently, it’s all up to the preference of the travelers. I’ll admit, the following is a little wordy, but I prefer to look at it as thorough! We booked a couple of hotels and lodges ahead of time to be sure of where we were headed at least a few times along the route. The busier areas we just showed up at and booked that day. Wish we had done it this way the whole time, as it would have saved us money. Booking day of also allows for more flexibility if you choose to change-up your plans. Since we were at the end of the off-season, there were plenty of rooms, all for the lower rates you can expect to find before the high season kicks in. Hotels and lodges come in a wide variety of prices, depending on the luxuries they include. Know what you want out of each place and how much you’re willing to pay. Some places we spent $7/night and others we spent as much as $70 and as low as $5. It all depends on location, amenities, and time of year. 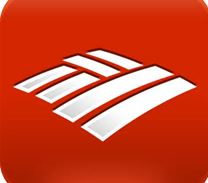 Bank of America Online Banking (or whatever you use) – great to track your funds and activity, make transfers, and ensure you can afford the next round. City Maps 2 Go – an extremely helpful app that allows you to download maps online and access them fully offline, including restaurant, hotel, and sight info. Convert – there are a few converters out there but I enjoy this one. Works well for currency as well as other measurements. Updates with new exchange rates every time it’s opened while connected to wifi so do this once in a while. 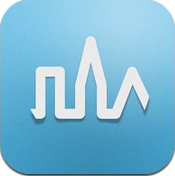 Language Translator – try to find language translators for the countries you’re visiting. Some might not have the most accurate translations, but the locals really appreciate it when visitors at least make an attempt at their language. I don’t have any specific one to suggest, as I deleted them when we finished our trip. 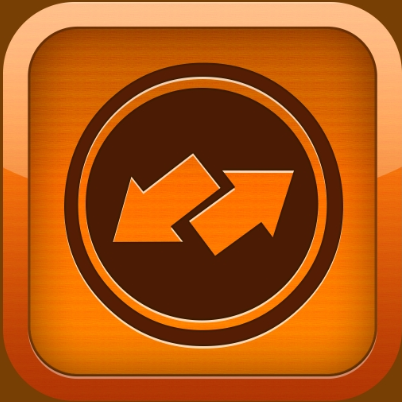 Triposo – it’s like having a guide-book in your hand. Download your location ahead of time to access it while offline. Great for looking up little facts about the place or attraction you’re visiting. I always try to do this before even leaving on a trip. World Factbook – I think this is the only one that costs a couple of dollars but it’s a convenient way to look up information about a country’s government, people, economy, etc. Both my fiancé and I brought our DSLR cameras, as well as a small waterproof point and shoot. The humidity did not cause any damage. This is NOT to say that it wouldn’t in other areas/conditions. The rain could have been a problem but with the umbrella and rain shell we managed just fine. Bring an extra memory card. And keep it in a waterproof container/bag. If you are like us you’ll want to take lots of photos and videos without the pressure of having to delete others to make room. We brought one external hard drive to transfer our photos as backup (we did not delete them from our memory cards). There are plenty of internet cafes where you can do this, and the rates are very affordable. Because of all the cafes, I was also able to keep a running account of our travels through blog posts on location. Most of the clothing you will want to wear (at least from a girl’s perspective), you can purchase from the markets when you arrive. They will be cheaper and you won’t mind as much if they get damaged. Plus your luggage will be lighter, one way at least. Bring a few tank tops, lots of lightweight underwear, a couple sports bras and swimsuits, and some shorts or capris. Also bring/buy a light long sleeve shirt and lightweight pants for hanging out with mosquitoes, hiding from the sun, and visiting temples. 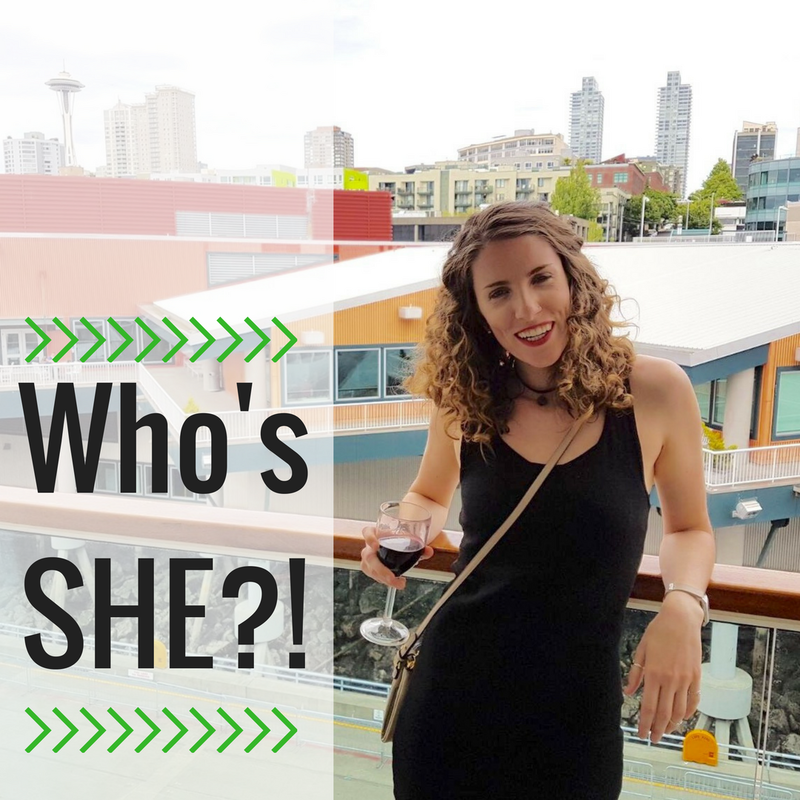 Shoes – all I wore were my Chacos (totally worth the price – had mine for YEARS) and I bought a cheap pair of knockoff beater flip-flops for the beach and questionable showers. Unfortunately my poor sneakers were never used but took up space the whole time. We took out a lot of money from ATMs throughout our trip. Unfortunately for me that meant many fees, so check with your bank to see what that will look like for you. On that note, also call your bank to tell them you are traveling so they don’t block your card. Look up the conversion rates of where you are going. It can be confusing when jumping from country to country, but it will help you save money in the long run. It’s also nice to start with a bit of cash, so look into ordering some from your local bank before heading out. There is often a minimum order though, so make sure it’s worth it beforehand. Photocopy and scan your passport(s). Carry a copy with you, send a copy to your family, upload a copy to your tablet/phone/ipod. Write up a document with any important numbers and/or addresses of anyone you may need to get ahold of. Maybe your bank info or your travel insurance, and definitely the info of any pre-booked hotels/tours. Bring a copy, send a copy, and upload one as well. Anything you need to do to ensure you can get that info if need be. The food is SOOO good, even for vegetarians! I was a little nervous at first since my tummy can rumble with the slightest of diet changes but for the most part my stomach obliged. The general rule when eating street food is it should be peeled or boiled when it comes to the veggies and fruit. Use this rule if your digestion can be sensitive. I was hesitant to try the fruit juice at the beginning because I was worried about the ice, but it was fine and I only wish I had drank more of it! It’s super affordable as well. If you have any dietary restrictions, look them up in the local language and write them down to show the waiter/vendor to see if they can accommodate. This might help prevent you from playing that awkward charades game… Although you may have to do that anyway. Bringing some Tums or Rennies is also a great idea. Get snacks for your day trips as well as long bus rides. I always have a snack on me and it totally helps get through the long days/rides. There are 7-11s everywhere, so pick up some nuts, granola bars, crisps, water bottles, etc. and enjoy. Or if you enjoy local there are options for that as well. I also brought some oatmeal packets from home, then just added water (it didn’t even have to be hot) for a quick meal. Yes, there are mosquitoes and other bugs throughout areas of SE Asia. And yes, malaria is a risk involved in traveling to some of those places. We ran into quite a few people who were just covering up and applying bug spray. That was our initial plan but we found Doxycycline*, the cheapest anti-malarial, in a local pharmacy in Chiang Mai, Thailand for like $10 to cover us for our entire needs. So, we decided it was worth it to feel more confident in our ability to remain healthy. *Doxycycline can increase the harshness of sun exposure, so if used, apply plenty of sunscreen and be smart. It’s also nice to stay at lodges with mosquito netting around the bed. We did not bring our own because most places had it. If it’s important to you, make that a determining factor when choosing a place to stay. Bring (or purchase when you arrive) a light pair of pants and long sleeve shirt to throw on in the evenings if you are staying where mosquitoes like to hang out. 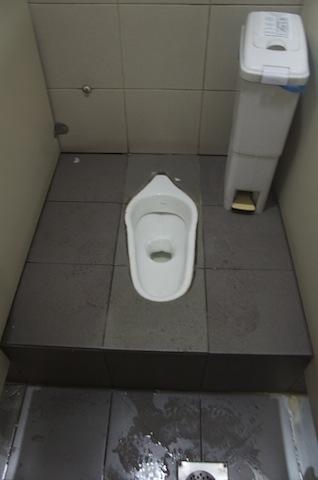 The public ones are often squatter toilets in many SE Asian countries. Generally in your accommodation they use ‘western toilets’ but at your side-of-the-road bathroom breaks the toilets are almost definitely built into the ground. There is often not toilet paper either so I got into the habit of always carrying some with me. When the toilets flush though, the plumbing cannot handle paper so always put it in the bin to be safe. If there is no flusher, just a trough of water with a pot in it, scoop water into the toilet until everything goes down (I had no idea what to do the first time I saw that). And then whip out your trusty hand sanitizer. In terms of toiletries, you can buy EVERYTHING when you arrive! Unless you prefer sulfate-free shampoos and the like. You should bring your own deodorant though…in consideration of the other passengers on the plane. When you start the booking process, look into a multicity ticket. On Etihad, we traveled from Paris to Abu Dhabi (parental visit) to Chiang Mai, Thailand. Then from Kuala Lumpur, Malaysia back to Abu Dhabi (more parental time) then up to Manchester, UK. All of this for just under $800 each. We did a few internal flights along the way, but those don’t end up costing too much with the local carriers, like Air Asia. Other times we took vans or buses. You can generally book these from your hostel/lodge/hotel the day before or sometimes even the day of. We used them for the long hauls between countries and large cities. We even took two sleeper buses. Two nights in a row is not recommended if you like your sleep and comfort. Bring some earplugs, an eye mask, and sleeping pills if you decide you’re up for the challenge. I hear some countries’ sleeper buses are better than those of others. We took them in Laos so that may have been a factor. We took a two day transport on boat down the Mekong to get to Luang Prabang, Laos. It was awesome but a LOT of boat time so bring snacks and things to entertain yourself. Our boat stopped overnight in Pak Beng and we stayed at a hostel. I think this is the usual overnight break. Taxis can be cheaper than Tuk Tuks. In Bangkok at least. Wish we had known that beforehand! If you can figure out the local trains and subways, they are fun to experience, but surprisingly not always cheaper than just a cab. They can also be quite crowded. But it’s a fun cultural experience! Rent scooters in some of the smaller towns (if you feel confident). Most often, it only costs under $10/day and it’s a fantastic way to see the area on your terms. Just remember to mount/dismount on the left to avoid exhaust pipe burns. Take down a phone number to contact rental agency in case of emergency or two flat tires in one day. From the perspective of an American traveler (in US dollars). I think the fees were the same for my British partner. These are estimates from memory of traveling in fall of 2013. I am used to a little rain from the Pac NW but when it rains in SE Asia, you go from dry to drenched in a matter of moments so I suggest picking up an umbrella, unless you don’t mind trudging around soaking wet. I purchased one (for like $5) more to protect my camera and travel documents. I also brought a rain shell to wear. It packs quite small and in times when I didn’t care about the rain, at least it could be tied around my daypack to protect the camera. For next time I would bring a rain cover for my big backpack to keep it from getting wet during transport. Even when it’s under the bus rain can get in. It’s always a good plan to bring some large Ziploc bags to throw your wet socks or swimsuit into so it’s separate from the dry clothing. These come in handy for a variety of other things as well and take up no space. I prefer to cover up than to use sunscreen everyday, so depending on what you prefer, either pack lots of sunscreen, or a hat and sarong, or all of the above (you can also buy these when you arrive but sunscreen we found to be a bit expensive)! Be nice to the locals. It may seem like a hassle when they are eager to offer a service or product but in the end, they are just trying to secure funds to support their families. When dining at restaurants note that food often comes at different times. It may not be what you’re used to but at least you know it didn’t sit in the kitchen waiting until the other meals were done. Often when entering shops, it is customary to remove your shoes and leave them out front. Sandals come in handy for this reason. Keep in mind that many aspects of life are very different – food, clothing, income level, religion, languages, pollution, customs, etc. If you may feel uncomfortable as a result of any of these things, look them up to avoid that awkward realization. In many stops along our route the electricity cut out for periods of time. Sometimes this was planned, other times it was a surprise, so it’s always a good idea to pack a small flashlight or headlamp like these ones. HOPE THIS HELPS ANY FUTURE BACKPACKERS! Lively post and very useful information. Thanks a ton for sharing all those minute details. You’re very welcome! Which countries are you hitting?